Here is the guide you need to read to bypass Crunchyroll VPN ban. Can you use a VPN with Crunchyroll? Well, perhaps the better question would be to ask if Crunchyroll works with a VPN? Our research shows that a lot of users get in trouble while trying to make a VPN work with Crunchyroll. The good news is that there is a lot that a given user can do to make a VPN work with Crunchyroll. Crunchyroll is perhaps the best anime streaming service in the world right now. It is another fact that the vast majority of the anime, in general, are useless and offer nothing but colors and all the trivial and superficial stuff that any sane person should stay away from. But as with all things on the internet, there are some gems. Therefore, it really depends on the person. The PERSON has to work to find those gems. However, this guide won’t look into that. This guide will talk about how to unblock Crunchyroll with a VPN and bypass Crunchyroll VPN ban. Partly because it is one of the most popular anime streaming services in the world. And because of that, Crunchyroll too wants to make use of geo-restrictions just like all the other streaming services such as Netflix and Hulu. 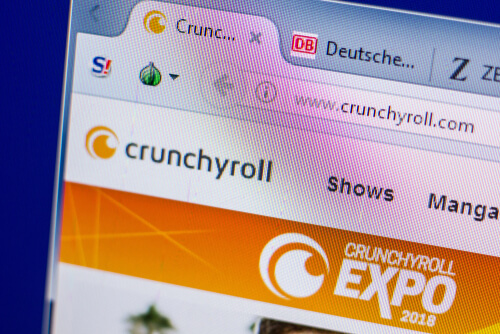 Because of these online restrictions, Crunchyroll offers users different anime depending on their location. So that country in which one lives becomes a huge part of what content would that person see on streaming sites like Crunchyroll. 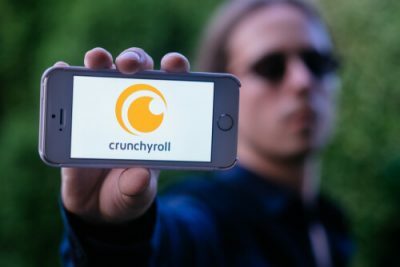 It is true that even If the user does not subscribe to a VPN service, the Crunchyroll subscription is alone enough for the user to watch some of the shows on the streaming site. However, to enhance one’s streaming experience and see things that no one else can, one has to make use of some tools to unblock all that sites like Crunchyroll have to offer. And that tool is a VPN service. With the right kind of VPN service, users can actually change the way websites look at them and serve them content. Our research shows that the best content libraries on Crunchyroll are available to people who live in Canada and the US. Before moving forward let’s talk a little about what a VPN service and why we are recommending it to you. A VPN service is a short form of the term Virtual Private Network service. It is actually a secure method of communication. Or in simpler terms, sending one’s data from one’s own computer machine to another computer over the internet. When a VPN service is part of the equation, all of the given user’s online data has to pass through the VPN company’s private tunnel. This is the tunnel that the VPN company has made for the user and the user only. Not only that, a good VPN service always makes sure to encrypt all of that the user’s data throughout its transit period. Moreover, a VPN service also allows users to have access to content which is available to anyone and everyone all over the world. A VPN service archives that by changing the given user’s computer IP address. This change of IP address not only enables users to bypass all geo-restrictions but also have protection for their online identity and privacy. Can Crunchyroll know that I am using a VPN? It is entirely possible, and in some cases even probable, that the user has connected to a VPN service but is still unable to bypass geo-restrictions. In such cases, the user would continue to get error messages on streaming sites that the user tries to visit. The key is to understand one’s country of origin. Crunchyroll has now implemented some mechanisms through which it can know the user’s country of origin and then move to block VPNs and blacklist VPNs and all the addresses related to them. Of course, that in no way means that the user’s PVN service is useless. It may still be working for all we know. The only problem that users need to concern themselves with is their IP address. Basically, it is the IP address of the server that they have connected to via their VPN service which is giving them problems. More specifically, Crunchyroll has blocked that VPN IP address. Thus, in order to fix any issue like this, the first step that the user should take is to try and connect to a VPN server that is different from the current VPN server. Users who find that after following the advice on the previous line, they still cannot unblock Crunchyroll with a VPN service, should probably start to look for a new VPN service. Because once the user isn’t able to connect to a service even after changing the server, it means that the problem is the VPN service. With that out of the way, let’s just quickly go through a list of the best VPNs for Crunchyroll that still work with the streaming service. The thing readers need to understand here is that they must sign up for a VPN service that is of high-quality and is reliable. Because when it comes to streaming sites like Crunchyroll, only the best VPNs are able to unblock it. Now, since we know it, Crunchyroll knows it, a lot of online consumers who want to watch Crunchyroll know it, people who make VPNs also know. And that is why we see the VPN service market filled with lots and lots of VPN services. Some of them are pure pretenders. Moreover, very few of actually offer something that someone would be willing to pay some money for. Modern online consumers have a lot of needs and a lot of expectations. They want VPNs to offer a certain kind of standard. Our research shows that among the best VPNs for Crunchyroll, the best VPN service is IPVanish. IPVanish is by far the greatest VPN service on the planet in terms of being well-rounded. Thousands of people make use of IPVanish to bypass various regional geo-restrictions and access blocked content. Here are some of the reasons why our research shows that IPVanish is indeed the best VPN for Crunchyroll. Can unblock all streaming services apart from US Netflix. Users should have no problems in streaming content from sites like Amazon Prime and Hulu with IPVanish. IPVanish provides users with an easy-to-use and intuitive software for all major platforms such as iOS, Mac, Windows, Linux and any device running Android. Users have the option of connecting up to 10 simultaneous devices per account. All IPVanish packages come with a seven-day official money-back guarantee from IPVanish. The customer support department is available all the time. Click here to sign up for IPVanish from the official website and that too at a discount right here and right now. Now, even though IPVanish is the best VPN for Crunchyroll and has received praise for its work in the cybersecurity industry, there are several other VPN service providers that are also good. Among them, our research shows that after IPVanish, NordVPN is the best VPN service for the job. We also should mention the fact that the law of averages probably means that IPVanish would not work for each and every online consumer. As such, people need to know about a backup option. And sometimes, backup options can actually be better than the primary option. So keep an eye out for NordVPN in case IPVanish gives trouble. And click here to sign up for NordVPN from the official website right here and right now. Let’s take a look at some of the tips for solving Crunchyroll streaming problems. We have gathered some easy-to-understand and easy-to-implement workarounds for users who are having problems with streaming Crunchyroll. The first thing to do is to try and connect to a VPN server that is different from the current VPN server. As mentioned before as well, Crunchyroll has made a bit of a habit of blocking VPN services by, in turn, blocking their VPN servers’s IP addresses. The second method is to try and watch Crunchyroll on another device. Another device like a Mac or maybe even a good old PC. Apart from that, switching up the web browser that one is using is a tip that very often works to perfection. We suggest that users should stick with mainstream browsers such as Safari, Edge, Firefox and Chrome. The third tip is to go ahead and contact the VPN service’ customer support team. Good VPN services usually offer excellent customer support that can offer some practical help to solve one’s problems. 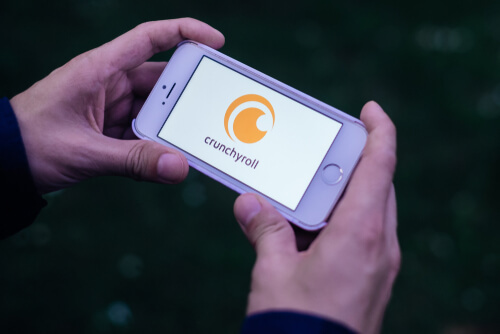 We are confident that if the user subscribes to a reasonable VPN service, its staff would no doubt help the user to solve the problem of Crunchyroll VPN ban. As a last resort, the only working alternative for users is to sign up for a VPN service provider which Crunchyroll can’t block. Because readers have already gone through our guide, they already know which VPN service works with Crunchyroll. We truly hope that we have provided readers with everything they need to know in order to watch the best possible content from streaming sites like Crunchyroll. With a good VPN service, users can not only watch Crunchyroll but also almost every other streaming service and website. There are a lot of animes just waiting on Crunchyroll for some online consumers to come along and watch them. As mentioned before, most of them are junk so watch out for them and value your time. Only watch those that give out positive life messages. With our VPN services, users can watch their ‘good’ anime from any given country in the world.